Now get your mind out of the gutter, I’m talking about the fruit. I know you are probably spellbound and totally curious about what I have to say about a pear, right? Or perhaps just a little interested? Or maybe I’d better just show you what I’m talking about so you can get on to another blog. I’m always amazed at the creativity of others…..I really love how these towels came out! Thanks. I was pretty pleased myself! I have never in my life put an iota of thought into tea towels until I read this post. 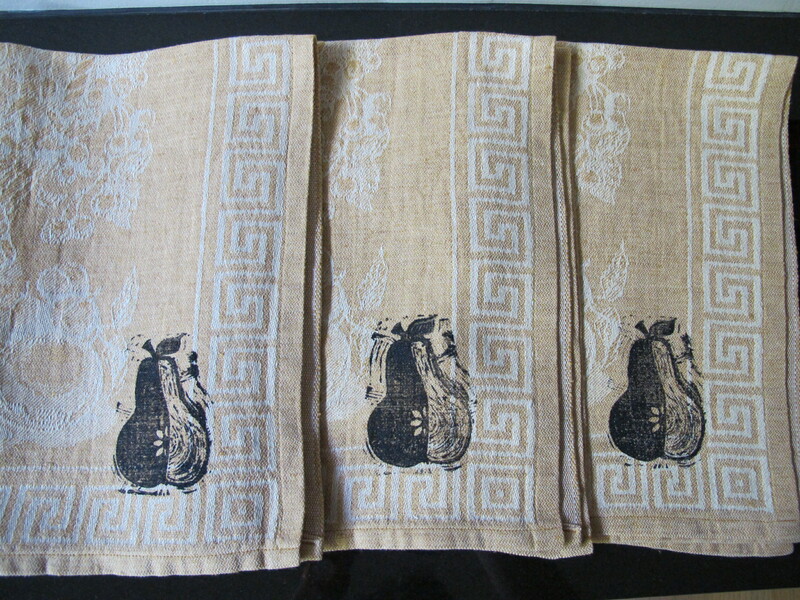 Very cool tea towels Terri. Thanks. What can I say? You have led a sheltered life and I’m glad I could give you this exposure! Glad you stopped by! Thanks for taking it upon yourself to expand my universe one tea towel at a time. 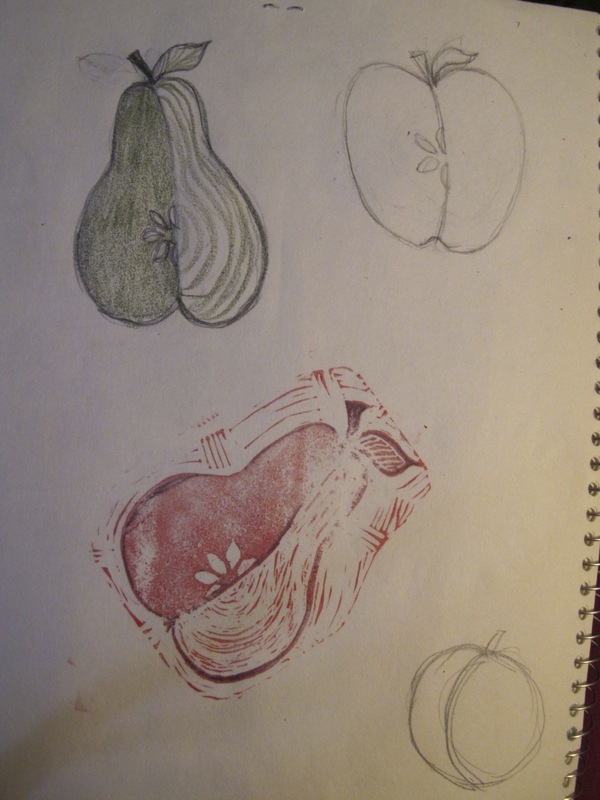 I think you’d get some pretty nice prints just by cutting the pears in half and inking them. Let them dry a bit before you ink them. That would be too easy for me – I seem to always take the more involved route! 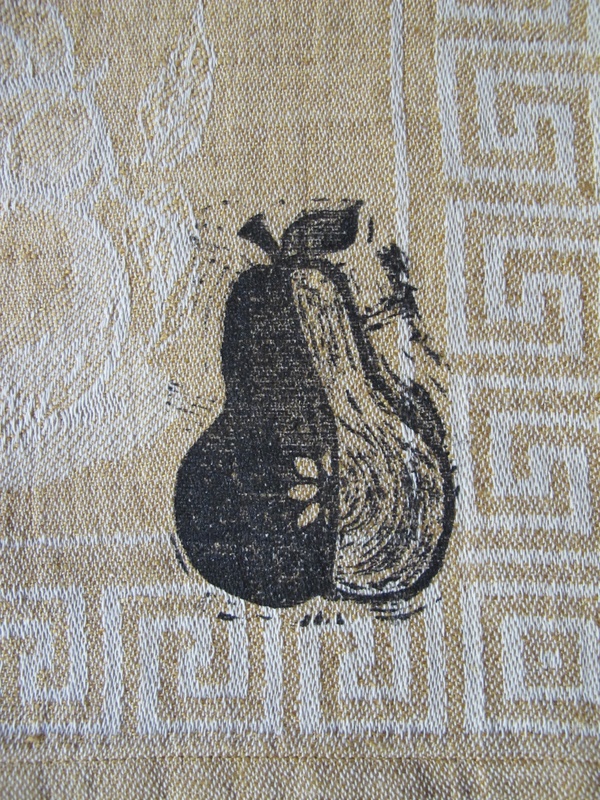 I silk screened some napkins last week. Hadn’t done that since jr. high, which was also many years ago! Thanks so much. I can’t believe the creative energy that flows once I get working. Why is it that days only have 24 hours?